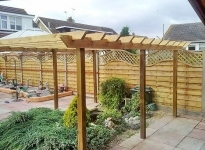 At Hull Sheds Fencing & Decking we always strive to provide the best garden solution. This in turn increases the value of the property. With our design, you can expect exceptional performance and functionality in your domestic environment. We carry a wide range of both hardwood & softwood decking in stock, so the one problem you may have is being spoilt for choice. Ipe, Balau, Massaranduba, Iroko and Kebony are just a few of the different types of hardwoods as well as pressure treated softwood decking boards.Deciding which timber to use is often down to budget, use and preference. With 7 different species of timber, in 15 different profiles and sizes, we are confident we can supply you with exactly what you are looking for. 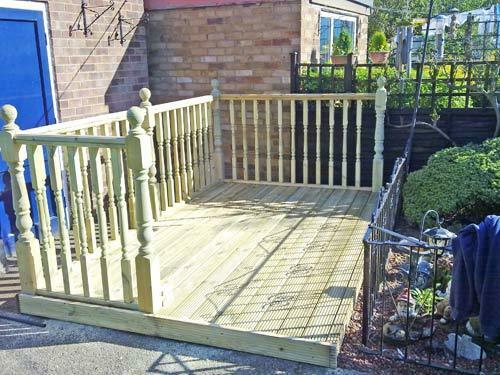 Make your outdoor space look perfect with our garden decking. 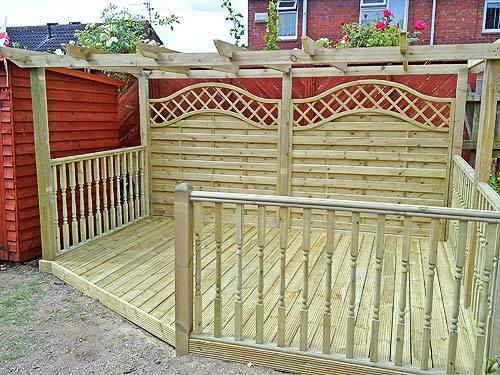 Our great range of stunning decking supplies means that you find everything to design playhouses for your children. 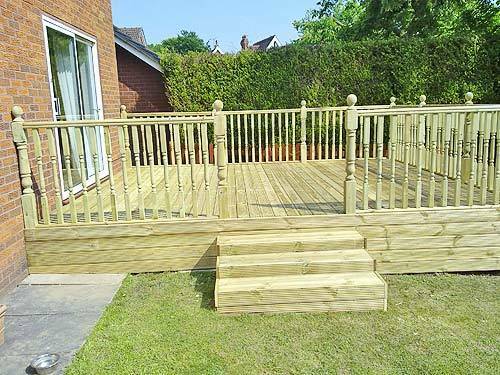 Garden decking is a great way to utilise your garden space – and isn’t limited to those with large gardens. 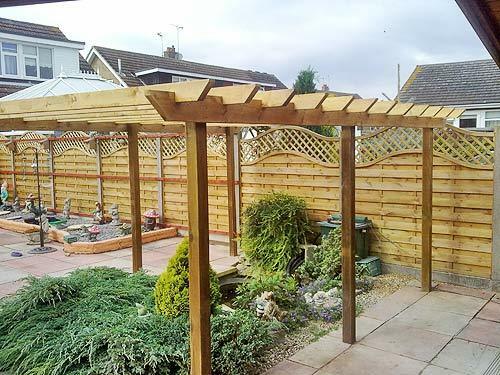 In fact, the right decking can help to enhance a garden space – and add an “outdoor” room to your house. Struggling for space? 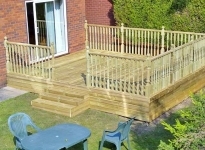 Why not consider elevating you’re decking up a level or two? 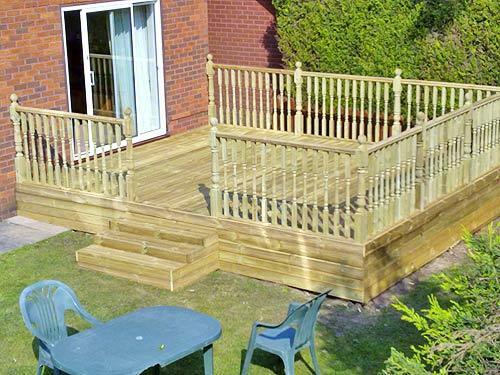 Modify your deck and add personality to your garden by adding handrails, decking lights or a pergola? 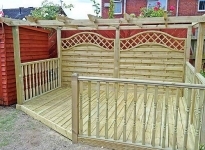 Our budget friendly prices at Hull Sheds Fencing & Decking mean that your ideal decking won’t break the bank either! 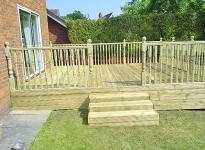 At Hull Fencing we have a range of great quality, affordable decking. Our products come with a wide range of sizes and ultimately give you the best finishing output. Why wait to create your dream garden? We can make it all happen for you. 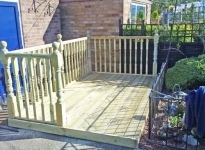 Don’t miss our fantastic range of garden decking and supplies; discover out full range today.